Thanks to your feedback, Swimia has turn out to be in just quite a few months one the most essential sites of swimming pools. 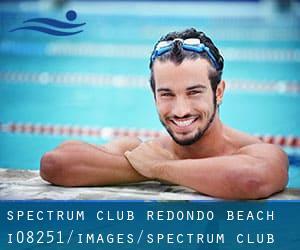 Here you've all the info we know about Spectrum Club Redondo Beach, in Redondo Beach. Don't forget you can also promote this pool so Spectrum Club Redondo Beach will appear the very first of Redondo Beach, or even the initial of one's country, contact us to know a lot more. Swimmers like you reported 25 yards, 3 lanes, Outdoors. Unfortunately we do not have the e-mail address of this Swimming Pool, but we can give you the phone number. Some help with Redondo Beach? Near the Redondo Beach Pier, check the ""Thomas Guide"" map book for information. 200 N. Harbor Dr. , Redondo Beach , CA , USA (Postal Code: 90277). Among all the activities supplied by the center, when you are thinking about swimming you are going to get pleasure from 20 meters, Outdoors. Just in case you need to get in touch with this Swimming Pool before dropping by, we only know the phone number.